So I am busy with the cover for my poetry book. Editing Zero (I know it is taking forever) and Editing Prince of Souls. I was talking to my grandma today. She asked me what have I done lately so I got down to the talking and explaining different parts of my life. However, it really got me thinking on how much I really do and how do I do it…. So I wondered about other people’s lives and did some research. But just out of curiosity…. What does your day consist??? I would love to hear about it. 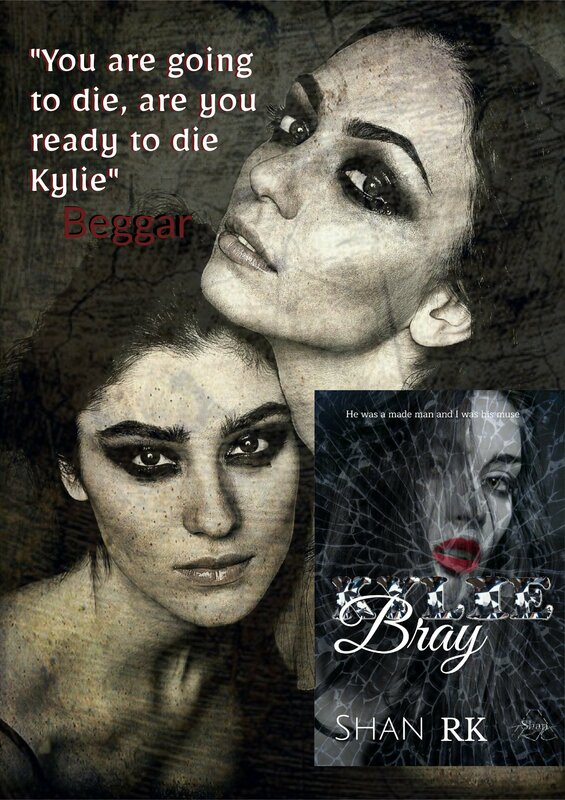 Kylie Bray will be released next week and while I , myself am very excited to share this story I will be blogging with a behind the scenes and thoughts writing this piece. I have changed this book five times and I have delayed it just as many and the time has never felt write to publish and I kept publishing other work. Unlike my other books Kylie Bray is a reflection of me, it is an emotional struggle of addiction, a certain type of addiction that psychologists won’t be able to explain. But many suffer it in silence. And this book is dedicated to these people, and those of you who suffer in constant rejection and inner weakness for loving people who will never love you back. It is dedicated to people who find themselves in love with bad people that do bad things. It is dedicated to those who don’t know how it feels for a man to wrap his arms from behind while you standing in the TV room and whisper sweet nothing in your ear. This book is dedicated to all those men who don’t know how to love, men who don’t know how to show affection. To all those men misunderstood. I dedicate Kylie Bray to all of these people. Recently I have acquired myself a collection of non fiction books about self growth, worth and learning to let go. I have read prose, poetry and compilation of compositions from Esteemed authors in the field. I feel I shouldn’t mention names. With that said I am a curious mind, most of us are. We thinkers and actors. Seeking knowledge to gain some direction. Yesterday I was three quarter way through one of these books when I shut it. And I would like to say something to all my subscribers and to all of you bloggers or even other people who come across this post. You are an individual, you are your own person. The only guidance you need is yourself, the only person that can make you happy, or feel better is you. You can heal yourself from emotional problems. You don’t need a book, or a twenty minute inspirational speech to tell you that you can achieve your ambitions. How good you are at something is not how good you can be. Unless you are the perfected version of yourself , then you will have the will, the drive to succeed to keep moving. Your strength lays in weight within you. And I mean weight not wait, because it gets heavy just sitting there, waiting for you to understand that your world is only as good as your mindset. Next time you have a few minutes to yourself go to your mirror , look at yourself and say that I am strong, I am powerful , I will find a way. Because I can tell you all as the sun shines in the morning and sets in the evening time is not waiting on you. You need to use those moments to pave your future you want now!!! Stop waiting , stop doubting ,stop wasting your time. This is your year, your month , your days, your hours. Spend it doing what you want to do.